As one of the regional groupings of IFORS, EURO actively participates in the activities of IFORS. Since 1987, EURO has appointed an "IFORS Vice-President [EURO]" for a three-year period. The IFORS Vice-President reports each year to the EURO Council. Cooperation between EURO and IFORS is enhanced by means of several instruments. 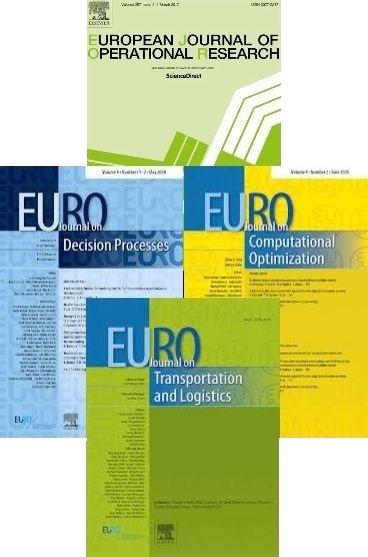 The EURO/IFORS program for the exchange of early stage researchers works both ways by promoting the participation of early stage researchers supported by IFORS in EURO Summer/Winter Institutes and of early stage researchers from EURO in IFORS Institutes in Developing Countries. In 2014 EURO Council agreed to formalise an approach to promote and further develop international cooperation. National Societies outside Europe and other regional bodies within IFORS may propose a conference jointly organised with EURO. Significant financial support (up to 10,000 Euros per year) can be made available for the organisation of such events (other than EURO-k Conferences). Please see the guidelines for more information. In 2014 EURO Council agreed to allocate funds to support up to three relevant events per year by sponsoring a plenary presentation (The EURO Plenary). The international meetings on relevant OR topics must be held in one of its member countries and the EURO Plenary speaker will be an internationally renowned operations researcher (scientist or practitioner) from a EURO member country. EURO will pay the speaker a flat remuneration and hand out a certificate. The remuneration is meant to cover the speaker’s cost (travel expenses, accommodation etc.). Further guidelines are available and oragnisers who are interested in this form of sponsorship should contact the President of EURO with further details about their conference. EURO is from time to time invited to sponsor various meetings. Such sponsorships do not include any financial commitments but should be viewed merely as moral support.